Just in time… guest bloggers! We are less than a day away from our Marine Biology class field study on Andros Island in the Bahamas. I am still waiting for students to come in to weigh their gear. I still need to pick up a few last-minute items. I still need to prepare to be perfectly (and wonderfully) off the grid for an entire week. As hurried as I have been lately, I have done some fun preparation for this blog. Since I cannot write for at least a week, two of my electronic pals have agreed to make a guest appearance in my absence! Dr. Punya Mishra (of TPACK fame) and Stacy Baker (of Edublog Awards fame) will be taking the wheel. I don’t exactly know what they will be bringing to nashworld other than the typical insight and wit they spill forth in their own projects on a regular basis. Stacy’s class blog was the 2008 Edublogs Award winner for “best class blog.” Her insight on how to pull off this type of framework will certainly be valuable. Along with Dr. Matt Koehler, Dr. Mishra is one of the co-developers of the TPACK framework. Our school has begun to embrace the simplicity of the framework as well as the deep commitment it takes to move toward the “center” of the model. I am convinced this framework will be more valuable as more of America realizes the need for true integration of technology into our current and future models of education reform. We have a ton to learn from these two. I am already excited to read what they bring to the site while I am away. Did I mention that I still haven’t left yet? Without going into too much detail in my frazzled state, I will say that the reason for our choice of field station locale is simple. 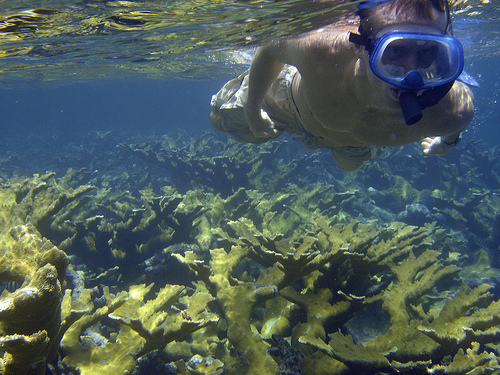 Andros Island boasts what is said to be the third longest barrier coral reef in the world. 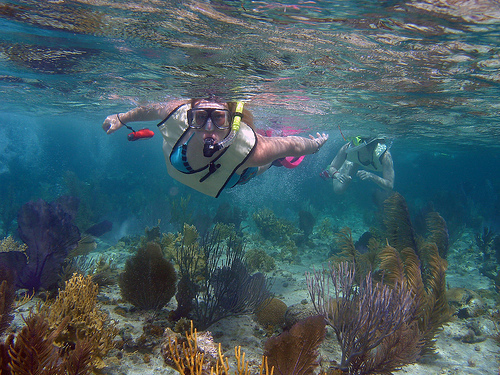 We will be on 45′ sailboats for seven days, snorkeling the reef, mangroves, sandflats, blue holes, etc. Just a few hundred miles off the coast of Florida, Andros is an amazing and surprisingly remote place. 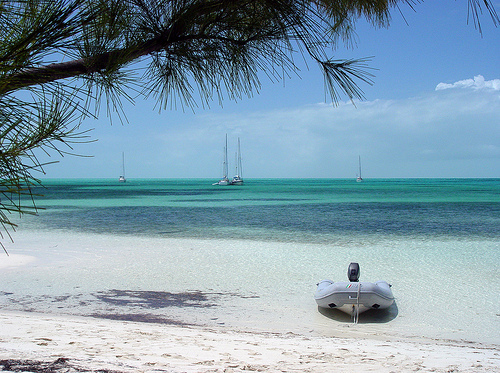 At nearly one hundred miles long, Andros is overwhelmingly the largest land mass in the Bahamas. Nassau, the capital city, sits on New Providence island with over 250,000 inhabitants and is the bulk of the tourism target. Andros, on the other hand, is large, flat and green with just around 8000 inhabitants. This island is wonderfully and yet very strangely “backwoods” considering its proximity to the United States. Until we return with our many fish tales, take a second to visit our class network or perhaps some of the images from our 2008 field study. The Ning site is less than a year old. It will be exciting to spill the journals, images, and videos of eighteen students onto that space when we return. We stopped updating our crusty old static “Web 1.0” page back around 2003 or 2004. 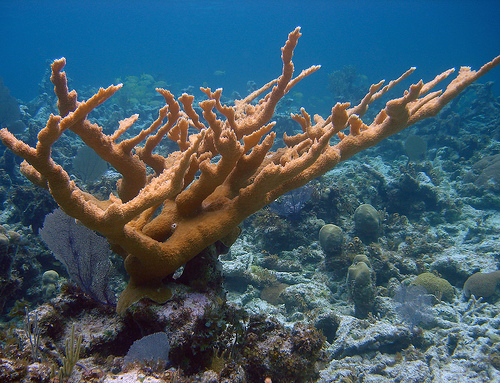 That said, our crusty old static presence was still quite functional a few years back when I was contacted by a member of the Center for Biological Diversity about using some images from our site for an historic petition to list the first coral species under the Endangered Species Act. 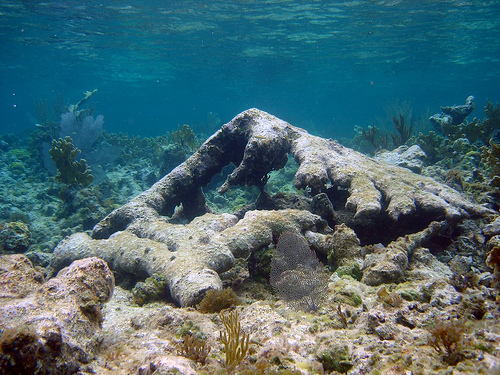 Apparently, our images of the Andros reef chronicled the state of two threatened species of Caribbean-region corals quite nicely. And of course, being a marine biology teacher, I have images that tell the entire “natural history” of the ecosystem as opposed to merely pretty pictures. The petition that was prepared (by no means a typical “petition,” but instead a 111 page formal manuscript that takes patience to load) not only features one of my images on the cover, but is illustrated using mostly our images from the Andros reef. Hey- whoever said “Web 1.0” wasn’t much for education? My students get a kick out of all of the international communication that happens as a result of our network, blogs, etc. However, this one event in 2005/2006 stuck out like crazy at the time to my students of Saint Joseph, Missouri. I suggest checking this document out. If for no other reason than to see what something like this entails. Well, that and… the photos! If you do check out the petition, slide all the way back to the “acknowledgments” on page 111. It was pretty cool to see our little school district listed there so prominently on such a landmark document. The real bottom line here: this petition succeeded in getting both Elkhorn and Staghorn coral listed as threatened species under the ESA. These are some of the only invertebrate species ever gaining protection under the Endangered Species Act. So stay tuned for Punya & Stacy… and a ton of news from the reef! Lots of opportunities for your students to connect with him. @Suzie Boss, -hey Suzie, thanks for the link! I am now finishing up the final touches on about 400 images from our field study last week… they should be posted on Flickr this afternoon or evening. I will be sure to post a reply here when they are up. As always, we got to experience some amazing things.